A full line of pneumatic rolling motors and tube expanders for straight-, flare-, long-reach, and beaded rolls that prevent over and under expansion are available for sale or rent from Esco Tool of Holliston, Massachusetts. Esco MILLHOG® Rolling Motors & Tube Expanders are air-powered and enable users to create a uniform and tight mechanical seal on all types of rolls. Featuring a torque control setting which stalls the tool when it reaches the desired tube expansion, they are supplied as complete kits with a choice of tube expanders for straight-, flare-, long-reach, and beaded rolls. Available with hundreds of tube expander variations for tubes from 3/8” to 4-1/2” O.D. and tube sheets to 5-3/8”, Esco MILLHOG® Rolling Motors & Tube Expanders are easy to adjust and allow precise torque control from 25 to 325 ft.-lbs. 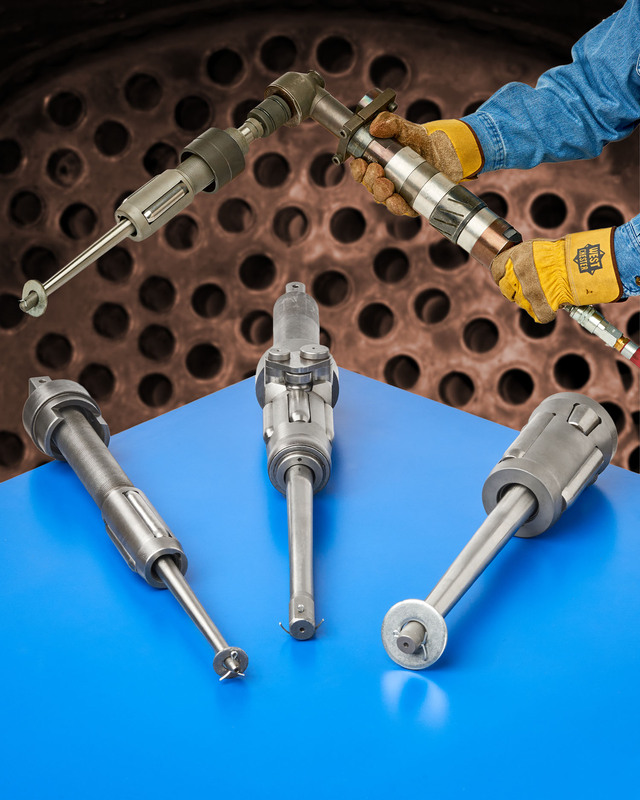 Available with 90, 190, and 280 RPM motors, these right-angle tools are supplied complete and ready to use with standard shop air. Esco MILLHOG® Rolling Motors & Tube Expanders Kits are offered for sale from $4,695.00 or for rent; with 24-hour shipment available.